A Farewell To Pink Petticoat | Pink Petticoat: Simple ideas and inspiration using Pink Petticoat Digitals. For Card Makers. I’m not too sure what I’ll do next. I’ve always loved playing with both paper and fabric. Perhaps I’ll play with fabric for a while. I do feel, however, that if I'm going to give whatever I do next the best possible chance of being as good as it can be, I need to take some time to focus on it & think seriously about it. Which means that it's time for me to say goodbye to Pink Petticoat & I'll be closing down the Boutique at the end of the month. If you're secretly hoping this means there's a closing down sale going on in the Boutique so you can stock up on all those items you still have on your wish-list, then yes, there is. *Here* Enjoy! But before I disappear from here completely, I want to thank each & every one of you, for your friendship, your support, & your company during the last 9 years. When I first started Pink Petticoat, I could have never imagined all of the amazing experiences that my small creative venture would bring into my life or the incredible people I would get to know. This chapter of my life been the most amazing journey for me. And you have been the best & brightest part of it. I couldn't have done any of it without you & you have all touched my life in ways that will stay with me forever. So from the bottom of my heart … thank you. I sincerely hope we bump into one another again. Wishing you all the best on your new journey! It sounds like a huge decision, but the right one. It's funny how creatively we adapt and spread our wings, simply with time. Like you, I moved away from blogging and cardmaking (where it all began) and am now besotted with fabrics. All I can think about is my next sewing project. I can't imagine life without sewing. I used to try and please everyone else with my blogging until I realized I wasn't happy. Now I am content, just pleasing myself. All the very best Liz. Best of luck, it's sad to see pink petticoat go! Oh wow......... I'm so sorry to hear that Pink Petticoat will be coming to an end.... and I'm so glad that I have bought so many over the years - that I still have in my computer folders! They're often my 'go to' papers - so I can only say THANK YOU for bringing us such lovely designs and sentiments - and good luck Liz in your future fabric adventures! Aghast to hear that there will be no more of your beautiful digitals but wish you every success in your new venture. Funnily enough my card making buddy has just taken up quilting! I will miss you and Pink Petticoat. But I think you'll do well in fabric design! Thank you for the downloads. So sorry that you are closing down, have enjoyed a great many of your products. I'd like to wish you all the very best in your new ventures. Thank you for the lovely papers, theyre used all the time, ( I even painted mdf names for the granddaughters and covered them in the pink and white dots papers,they look lovely). I have so many,the hard bit is choosing which ones! Good luck in your next venture and thanks again. So sad to see you close Pink Petticoat, I adore your stamps! I have hundreds of stamps but yours are one of my favourites! Sadly I useless with fabric so I won't get to enjoy them but have fun in your new adventure!! I would like to wish you all the very best of luck with your new projects and creative adventures! How wonderful for YOU and sad for us, I wish you the very best in the new chapter of your life, I hope it will be very fulfilling for you and great things come of it. Wishing you the very best of luck in all you do. Sorry to see you go and wish you all the very best for the future. I hope our paths cross again sometime. Hello so sad to see you go. Your designs are inspirational and pretty. I wish you well in where ever the future takes you. Liz , hope this is not goodbye as you go into your new venture .Thanks for all the great things you have designed and I have loved using . Hope to hear about you new creations in fabric . Just wanted to say good luck in your next endeavour Liz. I will miss your designs but understand you need to move on creatively. I was so sorry to hear that you're closing Pink Petticoat...such a shame as you really are unique in the marketplace and I will really miss your emails. I wish you well with all you choose to do in the future and I hope you'll share your adventure and challenges ....a blog perhaps? Thank you for all your lovely products. Sorry to see you go. Loved your papers and digits. Best of luck for the future. Sad day for us fans!! All the best Liz, I hope everything goes really well for you. Thanks for bringing us such gorgeous things over the years, I will miss it so much, but it's your time now, so onwards and upwards! I am so going to miss your brilliance but I look forward to seeing how your journey progresses. My PP files are the most precious I have and I will always keep them safe. Many thanks for all the lovely designs, will miss you! Good luck in everything you do. Sorry to see you go. Thank you for all your hard work and great creations. Liz, missing your work so much. Do you have a blog or somewhere we I can see what you are up to?? Not sure if you will pick this message up. Will miss all your lovely creations. Best of luck in your new adventure. So sad that I won’t be seeing your emails popping up in the in-box with your latest creations. Have loved everything you’ve created and use your designs time and time again. Thank you for sharing your creativity with us. You will be missed but I wish you every happiness and success in your new venture. I know wherever your path may take you now, it will be a wonderful journey for you. Hope you will be back with some fabric designs in time. Good luck with your new creative venture. I just wanted to say how much I love your designs and to thank you for your creativity. I wish you every success for your new venture! Many thanks for all the beautiful images and papers that you have designed for us over the years. You will be sadly missed by all of us card makers. I thought I had all that I wanted but have managed to find a few more !! I wish you the very best in your new adventure, Liz. I've been a quiet lurker picking patterns here and there over the past year or so and I'm so happy for you to venture into fabric! Your patterns have always made me think of their application in fabric. I hope that if you develop a line of fabrics for sale you go for only the very highest quality thread counts and everything. I can almost feel them in my hand already! Best wishes and a very Merry Christmas! I am so so sorry that I will no longer be able to buy your lovely ideas but wish you all the very best in your new venture. Will now have to check out your site for last minute goodies before you depart from my crafting life for good. Thank you so much for the lovely designs over the years. I wish you well for the future & I will look out for your designs, I am sure they will be truly fantastic. Wishing you & your family a very merry Christmas & a fantastic creative 2016. Good Luck Liz and we will all miss you and your lovely posts - send us an e mail when you are on your next encounter and up and running because I don't think this is the last that we see of you and your website - albeit something different. Very best wishes and thank you and lastly, Merry Christmas and Good Luck. Aw...I for one.. (of the trillions) will miss you and Pink Petticoat. Good luck in anything you find yourself creating! All the very best to you, Happy Christmas! Just to say 'farewell Liz' missing you already. Since you first decided to close Pink Petticoat, I miss the excitement of new papers and images. I wish you so much success whatever path your life takes...you have given me so much joy, thank you. Take good care of you and follow your dreams. But if ever you feel the need, please keep me in your email list. I have some wonderful memories from the faces of friends when opening their cards I have created over the years with yours images..
Wishing you much success in your latest venture. I read your email with great sadness for me and happiness for you. I have loved your papers and sentiments and images and use them a great deal in my card making but understand that you have to follow where your heart leads. I wish you every success in your new venture and am sure that your wonderful creativity will shine through in whatever you touch. I am gutted that you have decided to close Pink Petticoat - I love your designs, but I wish you every success and happiness in your new venture and hope to see your designs again in the future. SO SAD & SORRY to hear you are closing Pick Petticoat……but I can understand and truly wish you the best success in your venture……you are so very talented and creative that I know you will be a success in whatever you do……I have enjoyed your site for the past six plus years…. will miss you….. hope I come across your new work sometime…. I am so sorry you are leaving. I have been with you for threw whole nine years, I still use your first papers. Every design's been fabulous but like you I have went back to fabric from paper design - theres a visual end product. Good luck in all you do. I'm so sad to see Pink Petticoat go, but it does sound as though this is the right time and step for you - and a very exciting step too! I love your creativity and sweet designs, and cant wait to see something in stores so I can say 'Hmmm that looks like Liz's design'. You're going on a new adventure and I wish you lots of love and luck. So sorry Pink Petticoat is closing down. I’ll miss you and your creations. I wish you all the luck with your venture. Hi Liz I am so sorry to loose you. I have everyone of your wonderful creations. I cant believe its been nine years ago that I started following you. Your creations have been a large part of my card creativity. I wish you all the best in your new venture. I'm sure it will be a great success. How am I going to cope without you. Thank you for years of enjoyment. I truly will miss Pink Petticoat. Please keep your Pinterest boards. I use them for inspiration. At least that way we can stay in touch with your amazing creativity. Best of luck in your new adventures. So sorry to hear you are giving up, but I just want to say a big thank you to you for all your lovely designs and inspiration over the years and to wish you the very best of luck for the future in whatever you decide to do. I'm sure it will be beautiful! Thank you so much for all your hard work and creativeness , I so have enjoyed working with your pretty Pink Petticoat products. I do so hope to hear about your new adventures,and wish you well in all you do in the future. I will miss you.! Good Luck !!! I'm so sorry that you are ending your pink petticoat business, I have enjoyed your designs for many years, I would like to wish you good wishes for your future creative journey I'm sure it will be exciting. I will be so sorry to see you close down. You have been my 'go to' for papers as long as I can remember. Even still use the Boutique CD in a tin. I am so sorry to see you go. I have been with you from the start and have all the Lulu CDs and more. Good luck with your new venture. Sometimes its the right thing to do, to follow your heart and your dreams. I have been to the "shop" and stocked up with your beautiful designs. I am really sad that you are giving up Pink Petticoat. I will miss your designs, but I am really excited for you entering your new venture. I wish you much luck and just know that all will go well for you. Really sorry to hear you are closing. I have thoroughly enjoyed using your images and papers over the years. Thanks very much and thanks for all the lovely papers you have supplied us with. I shall miss your designs and expertise. May you have tremendous success in your new venture, but, please do check in with your friends once in awhile and let us know how you are doing. A blessed and wonderful holiday season to you. I am very sorry to hear of your decision to close Pink Petticoat. I have loved your designs over the years and have bought quite a few !! I'm sure the fabric world will be all the better for having you as part of it too. I'm sorry to hear you have decided to close your boutique but I wish you luck in your future endeavours. of beautiful designs you have offered us. Wishing you much joy and success in the future. 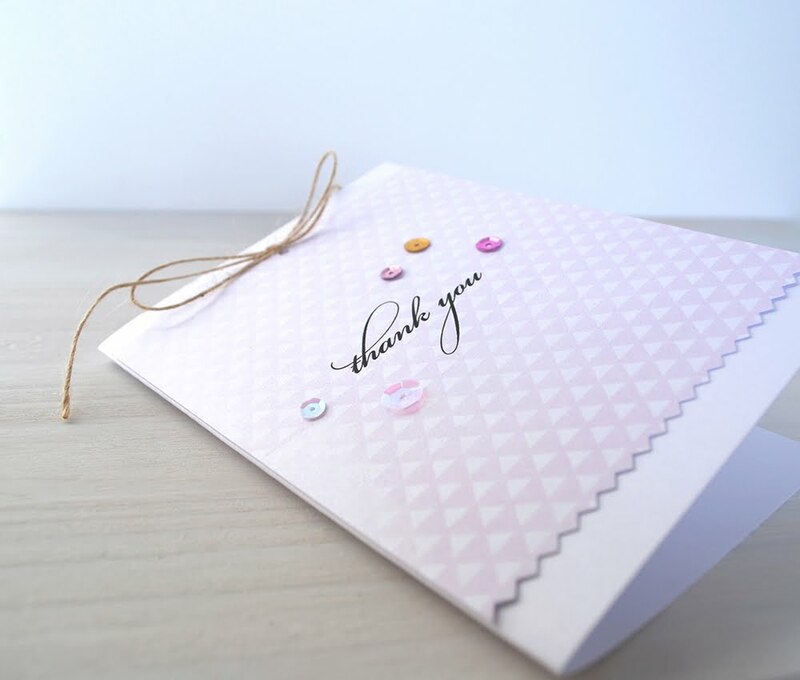 I am so sorry to have your email - you have been my inspiration over the years and I have loved making cards using your products. Each time I seem to run out of ideas you lovely designs gave me new ideas I wish you every success with your development with fabrics. I took love all the changes that are coming in with multi media products. I sure you will be successful. Hi Liz - just received your e-mail about closing down :o( whilst I'm soooooo sad to see you go I wish you all the very best in your future ventures - I know you will be successfull. I have been with you since the start and remeber winning your category in Cardmaking & Papercraft many, many moons ago - even have all your original CD's - sheesh, how time moves on. So, off the shop to top up on all your goodies - will you still be leaving your fabulous inspiration page open? Once again Liz, I wish you every success. So sad that you are retiring from Pink Petticoat I have enjoyed all the beautiful papers you have created over the years and have waited eagerly each time for your new papers . I will truly miss your emails with your new creations best of luck with your new adventure . Wishing you all the very best as you start your new adventure Liz. then you will surely be very successful. I would like to wish you all the best in your new endeavors. I have enjoyed using your designs in my paper crafting. That is very sad news for me but hopefully good for you. Thank you so much for all the little nuggets of happiness you've brought to my life, I'll miss Pink Petticoat very much. Good Luck for your new venture Liz.....you've been amazing and no doubt you will be very successful. Wishing you all the best in your new venture, with your talent I am sure it will be a success. Enjoy your time to contemplate and if you ever take up digital artwork again please let me know. Here's to the future and some new experiences. Hi Liz, Just a quick note to wish you well in your new venture. I will miss your cheery designs and the inspiration you have given me over the years. I have always been eager to see what you have produced for us all. You are a very talented lady and hope the path you choose will be rewarding for you. If you ever decide to come back into paper designing, you will please a lot of us, I am sure. Wishing you the best of luck and a big Thank You. Many thanks for all the beautiul designs that you have given us over the years. I have loved the charm and simplicity that is in your artwork. You prove the point that 'less is indeed more'. All of the cards that I make I donate to various cancer charities, on many of them I have used your digital images and they have always been delighted to receive them. Good luck in your new venture, I am sure you will be very successful in every thing that you do ! I intended to place an order tonight but think I will have to leave it until the morning as I'm sure it will take forever !! So sorry to hear that you are "bowing out" from Pink Petticoat but good luck in your new venture in fabrics. Just a quick note to say good luck and best wishes for your new venture. I am so sad to see you go as I LOVE all of your papers, images and sentiments. I did suggest to Jules (always with a heart) to chain ourselves to your gates in protest or get a petition going as I’m sure that there would be a lot of people who would sign it!!! LOL!!! Many thanks for your inspiration and creativeness.